Clifford Hodson, a 54-year-old manufacturer's sales representative from Reston, Va., took statins for elevated cholesterol, but suffered from joint pain and was often grouchy, according to his wife. The South African native and former rugby player complained to Dr. Craig Cheifetz, an internist with the Inova Health System in Fairfax, Va., and medical director of its VIP 360° concierge medicine program. Cheifetz recommended tests through Inova Health's MediMap pharmaco-genomic testing program. MediMap currently uses test panels for six clinical categories—newborns, heart, psychiatry, neurology, cancer and surgery. “They just do a mouth swab and 4 to 6 weeks later you get this pretty little report back,” Hodson said. Based on that genetic profile, it listed medications that might cause unwanted side effects like the ones he was experiencing. “Lo and behold, the statins are bloody dangerous for me,” Hodson said. Cheifetz said Hodson's second drug, Rosuvastatin, was in the “caution” category. Since it wasn't “an absolute contraindication,” he halved Hodson's dosage and changed the frequency from daily to every other day. “It gives me a logical treatment plan,” Cheifetz said. After decades of work and ballyhoo, it's finally happening. Patients, as a regular part of their care, are getting their DNA sequenced, seeing it matched against known genetically related conditions and having their medications checked for genetic suitability. During the Healthcare Information and Management Systems Society convention this week in Orlando, Fla., Inova, several other healthcare delivery organizations and their technology partners will tout their pioneering work in clinically applied genomics. Presentations at the show include both full-day and half-day symposia on precision medicine as well as multiple stand-alone educational sessions. At these cutting-edge healthcare organizations, precision medicine is beginning to affect patient's lives. But most of the healthcare industry is still struggling to overcome significant social, economic and technical barriers to widespread adoption of genetics-based patient care. Yet the movement toward precision medicine has come a long way since work on sequencing the human genome was completed in 2003 after a 13-year, $3 billion international effort. The triumph was named by Modern Healthcare readers in 2016 as the most significant breakthrough in medicine over the past 40 years. According to National Library of Medicine's Genetic Testing Registry, there are now nearly 10,000 conditions that can be identified using genetic tests, a twelve-fold increase from the number in 2012. While the cost of genome sequencing has come way down and the uses of that information to improve patient care have taken an enormous leap forward, only a few pioneering healthcare systems are putting that knowledge to work. The price of full genomic sequencing has fallen remarkably in recent years, but those costs are still high. That's why most providers getting into precision medicine are performing lower-cost tests for specific genes or exome sequencing, which excludes the 98% to 99% of the genome that doesn't contain genes. For instance, Veritas Genetics in 2015 began offering a $999 genetic sequencing test that looks for the nearly 4,000 genes where abnormalities have been associated with diseases, according to Emily Qian, a certified genetic counselor with the Danvers, Mass.-based company. The patient gets a list of variances from the norm that can run up to 70 printed pages. For $199, Veritas will test breast cancer linked abnormalities in the specific BRACA1 and BRACA2 genes, she said. Veritas doesn't bill insurance plans, Qian said. All of its customers pay out of pocket. While there are a growing number of success stories, precision medicine remains a highly specialized field. “Not a lot of organizations are doing it outside of large academic medical centers and hospital systems,” said Brendan FitzGerald, director of research at HIMSS Analytics, the research arm of the Chicago-based HIMSS. As a result, there's no widespread demand yet for health IT systems equipped to handle genetic testing, either from existing enterprise EHR vendors or specialty systems developers. 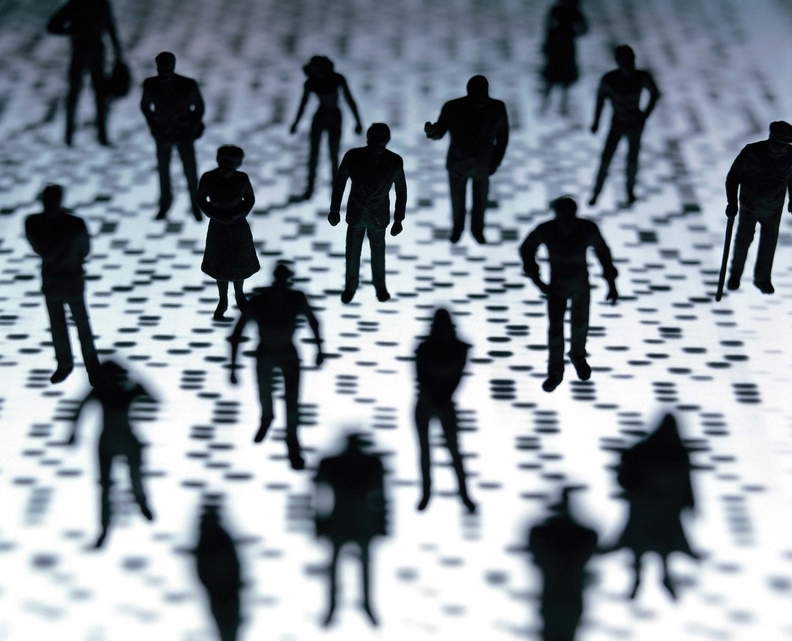 A number of niche players have rushed in to provide genomics data-management programs. Palo Alto, Calif.-based Syapse, for instance, has landed some big-name clients such as Intermountain Healthcare, Catholic Health Initiatives and Dignity Health. Micky Tripathi, CEO of the Massachusetts eHealth Collaborative, a quality improvement and IT services organization, said his members are not focused on sharing genetic information as they move toward being able to exchange a common clinical data set and to support accountable care organizations. One place moving out front is the Veterans Affairs Department, whose Million Veterans Program for clinical research launched in 2011 now has 500,000 veterans enrolled. The VA boasts it has already created the largest genomic research database in the world. Meanwhile, the Precision Medicine Initiative, announced by President Barack Obama in 2015 and coordinated through the National Institutes of Health, is slated to begin enrollment this year in pursuit of its 1 million-member clinical research cohort. The foundation of Geisinger Health System's success in bringing genomics to the exam room was laid 10 years ago with a plan to create the MyCode Community Health Initiative research biobank. Today, about 130,000 patients have answered recruiters' calls to participate, said David Ledbetter, Geisinger's executive vice president and chief scientific officer. Sequencing of the samples began about three years ago, Ledbetter said, focusing on the exome. “The genome has greater future research value, but the exome gives you most of the information that's clinically usable,” Ledbetter said. Geisinger looks for 76 genes linked to 27 conditions, including cancer and cardiovascular disease, based on the recommendations of the American College of Medical Genetics and Genomics and Geisinger's own research. About 60,000 patients have undergone screening, which is analyzed by the genetics lab at Regeneron Pharmaceuticals. So far, only 239 patients have had their genomic test results returned with matches that need further inquiry. One of them was Jody Christ, 61, of Elysburg, Pa.
“Several years ago, I was waiting to see my primary-care physician when a lady came over and asked if she could explain a study they were conducting and asked if I would participate,” Christ said. Her genetic screen revealed Christ had familial hypercholesterolemia, a genetic disorder that affects the ability of her liver to metabolize LDL cholesterol, which increases the risk for cardiovascular disease when elevated. In May, after some follow-up tests found several arterial blockages, Christ underwent triple-bypass surgery. “It saved my life,” Christ said. 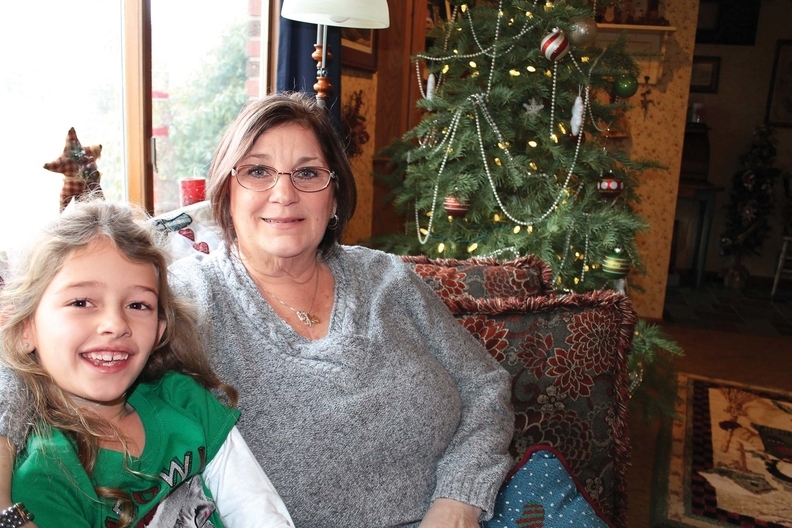 Jody Christ with her granddaughter Alana. Genetic testing got its start in rare diseases. Dr. Francis Collins, who ran the Human Genome Project and now heads the NIH, gained prominence by discovering the gene for cystic fibrosis in 1989. Today, the lab at Children's Hospital Los Angeles routinely performs genetic tests, said Dr. Wendy Mitchell, an attending child neurologist. About three years ago, Mitchell had a fair idea from observation and experience that her then-newest patient, Miles McIntosh, had nerve damage. The 18-month-old, though bright and responsive, could only crawl on Mitchell's exam room floor. She noticed Miles used his hand to position his foot on the ground to try to pull himself up and stand beside a little stool. “We don't need a geneticist to tell us we have a kid who has SMA,” Mitchell said, referring to spinal muscular atrophy. SMA is a genetic condition caused by a flaw in the protein-producing SMN1 gene. A lack of these proteins leads to the destruction of motor neurons that make muscles work. Type 1 SMA, the most common and severest form of the disease, is often fatal within a child's first two to three years. Miles' genetic test results confirmed Mitchell's suspicion; he had SMA, albeit a rarer, nonfatal, but still debilitating type. “He's in the good group of SMA, if there is such a thing to be in a good group of a horrible disease,” she said. The news came as both a hammer blow and an opening for Nikki McIntosh, Miles' mom. She'd been searching for months for an explanation why her son's legs couldn't hold his weight. “When you get a diagnosis like this, that there's no treatment and cure, your world just goes dark,” she said. McIntosh found a glimmer of light in a Stage 3 clinical trial for a new, gene-based therapy for SMA. She enrolled Miles, one of only about 80 children in the world selected to receive a drug built to boost the protein-producing output of a “backup” gene to the defective gene Miles has had since birth. His treatments—spinal injections, several initially, then one every four months thereafter—started at age 2. It was hoped the drug would slow or halt further damage to his motor neurons. 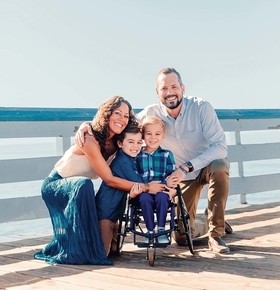 Last December, Miles' drug, now trademarked as Spinraza and marketed by Biogen, became the first-ever FDA approved therapy for SMA. Genetic researchers are still looking for a cure. However, Biogen priced Spinraza at $125,000 a dose. Treatment will cost $750,000 for the first year, and $375,000 each year thereafter. Miles McIntosh with his parents Nikki and Tony, and brother, Mason. Health plans will pay for certain established tests. Under an Affordable Care Act mandate, plans must pay for screenings for BRCA1 and BRCA2 gene mutations in women deemed to be at high risk of cancer. But for other patients, “we spent a lot of time looking at what can be reimbursed by insurance,” said Dr. John Deeken, an oncologist and senior vice president at the Inova Translational Medicine Institute. “Insurance companies don't like to pay for things if they don't have to, but if we can show them the evidence (that) it can save them some money in the long term,” the hope is they'll be more willing to pay. In addition to cost, data access remains a barrier to precision medicine, according to Philip Payne, director of the Institute for Informatics at Washington University School of Medicine, which was launched a year ago. There are more than 400 labs doing genomic sequencing whose test results must be linked with other patient information residing elsewhere, he said.